Featuring two winding 'lanes' the Ice Luge is perfect for rowdy shindigs and it's guaranteed to add a slick touch to your parties. 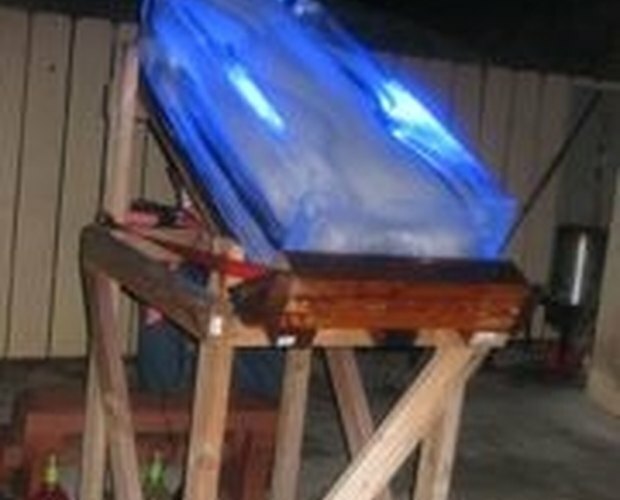 An ice luge is a large banked ramp of ice with a narrow channel carved through it. 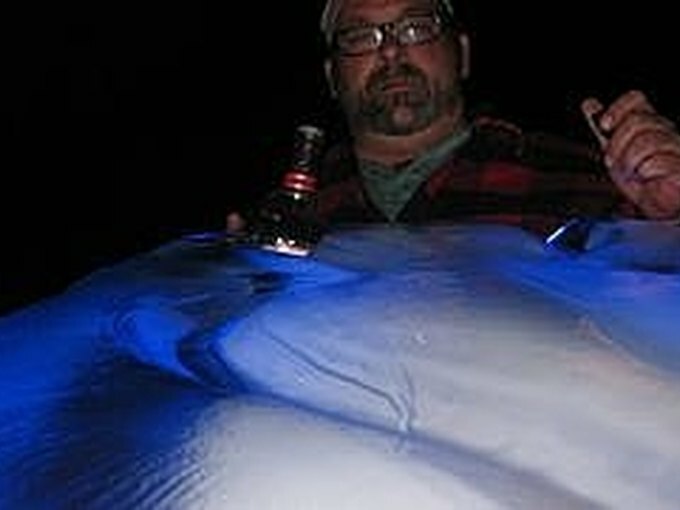 A measured quantity of liquid, typically liquor, is poured into a channel at the top of the luge, and a few seconds later an icy cold drink is dispensed at the bottom, directly into an awaiting open mouth. 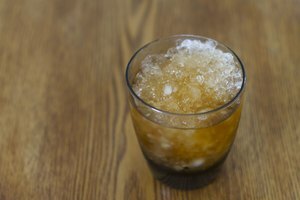 Purchase a large block of ice from a dealer. Then skip to Step 6. If you want to make your own block of ice go to Step 2. 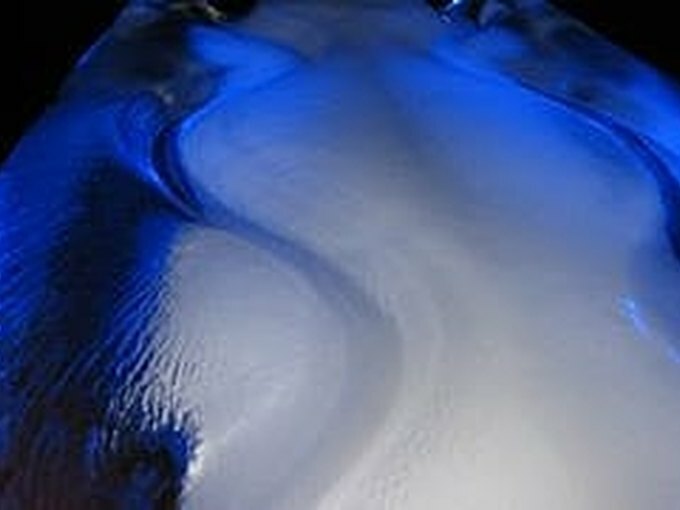 This block of ice has a blue light bulb shining under it to give it a blue glow. Measure the inside of the freezer that you will be using and then go to any office supply store and pick up a tub (plastic container) roughly 2ft x 4ft x 6in. and fill the container with about 4 inches of water. You can also make a smaller luge by using a smaller container. If this is the first time that you have made a luge, you may want to use something smaller like a shoe box size to try out the idea. Fill the container with about 4 inches of water. Put it in your freezer and tilt the container at a slight angle. The deeper end of the container should be close to the rim. You can do this any number of ways. Just stick something underneath one end of the container, so that water will be shifting in the container length-wise. Leave the container for as long as it takes which can be at least a couple of days. Now comes the luge part. You can chose several ways to make the canals. You can carve out a canal using a screwdriver (and a hammer if need be). If you use the hammer be sure that you know what you're doing. Make two canals going down for a larger block of ice and one canal for a smaller block. Then pour hot water on the canals next to smooth out the luge. You can also use a router with a half inch bit on it to make the canal. The easiest option is you can also use a blow torch. 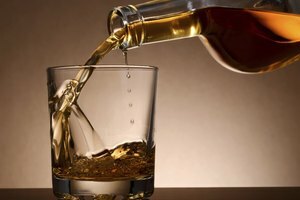 Have someone standing at one end to pour the liquor. You may need to provide a step stool to stand on. Slowly start pouring the liquor at the top. Pour very slowly. The luge has to be very secure before anyone drinks from it. If it is a large piece of ice it can be extremely heavy and could hurt someone. Have two people man the Luge. 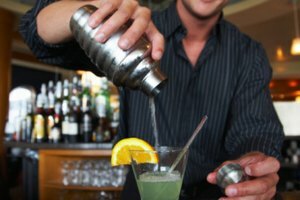 One at the top is the pourer and the other person makes sure that the block of ice is secure. When buying the container to freeze the water. Make sure you measure your freezer so that you know it will fit inside. It's also possible to buy a large block of ice. You can usually find a merchant that is selling them, but be aware they can get pricey, as they are used to make sculptures. 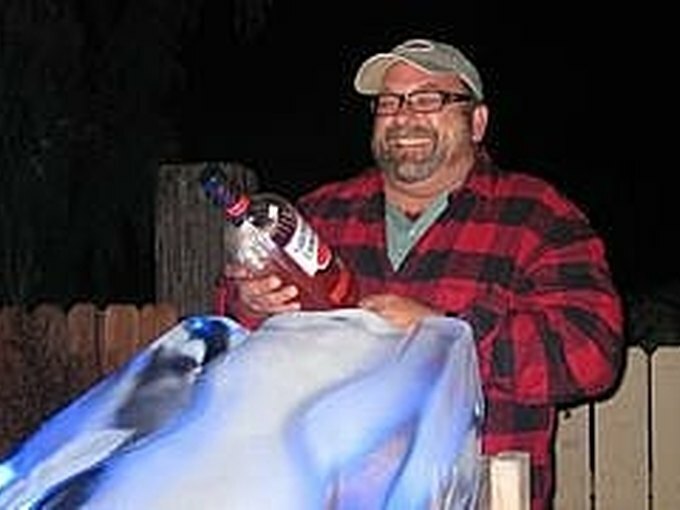 A large block of ice fits nicely in the back of a truck and if you park the truck on a slant then the alcohol will flow easily down the ice block. 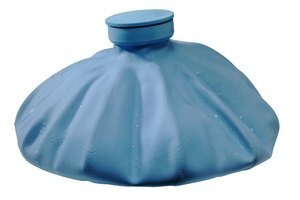 Also, a mold to make your own luge can be purchased online. Stay away of using electric items to make the canals. The chance of shocking yourself is too great.